We have a great selection of precious stones here at Anderson's! Anderson's sells the most gorgeous red rubies the world has to offer. Given as a gift, rubies are seen as a symbol of love and friendship. The energy and romance associated with this gem are unparalleled. Emerald, one for the four precious stones is the transluscent green variety of the natural mineral beryl. For thousands of years, the emerald has been a source of reverence and fascination for its spiritual power and natural beauty. GIA Certified Gemologists here at Anderson's select a range of dazzling emeralds for our rings, pendants, bracelets, and more. Blue Sapphires symbolize power and strength, as well as kindness and wise judgment. We have a wide variety of blue, yellow, and pink sapphires here at Anderson's. Pink sapphires naturally occur in this beautiful and vibrant color rarely seen in nature. Associated with emotional healing and resilience, this stone is ideal to wear with a renewed confidence. With a halo of diamonds or on its own, the pink sapphrie sparkles with feminine beaty and strength. Yellow sapphires exists in more than just the blue color. This gem's sunny hue is sought after for its association with prosperity and creativity. With it's dazzling lustre and unique purple-blue color, this rare and precious stone is mined in only one location. It looks amazing with white diamonds, and in yellow or white gold. 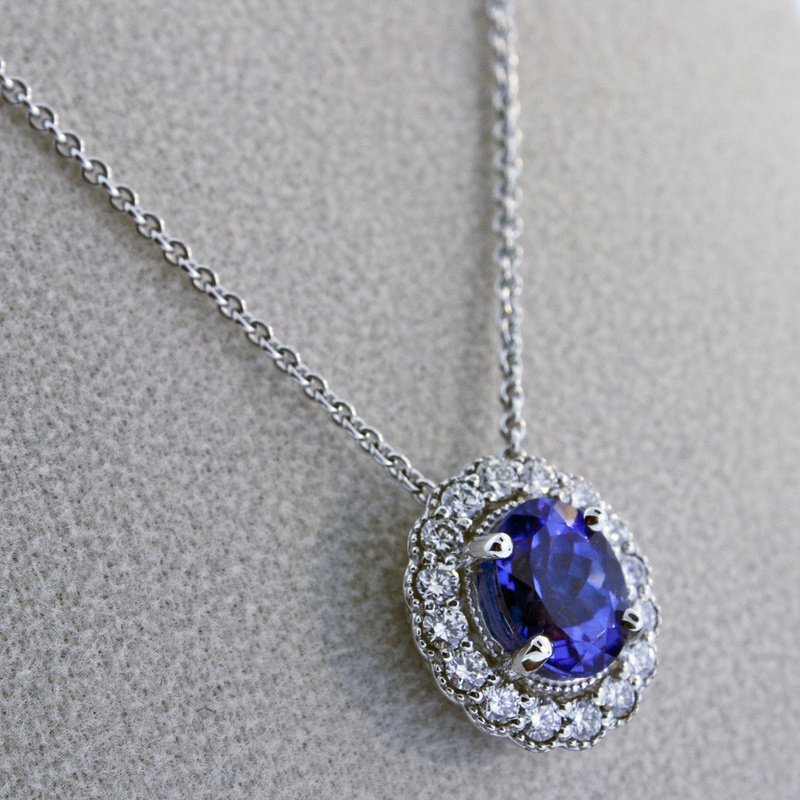 The tanzanite is often associated with protection and mental peacefulness.